TUR 1103, Gear Plate (HPI Baja 5B / 5T)(Gunmetal)(Turtle Racing) 1pcs. Turtle Racing has developed a One Piece 6061, Billet aluminum Pinion/Spur Gear plate. This TR Gear Plate eliminates the stock 3-piece assembly, including the plastic 2-piece block that holds the spur gear bearing. The TR Gear Plate has been designed with strengthening and cooling "ribs" around the FastEddy spur gear bearing to help dissipate heat and add strength to the bearing journal. 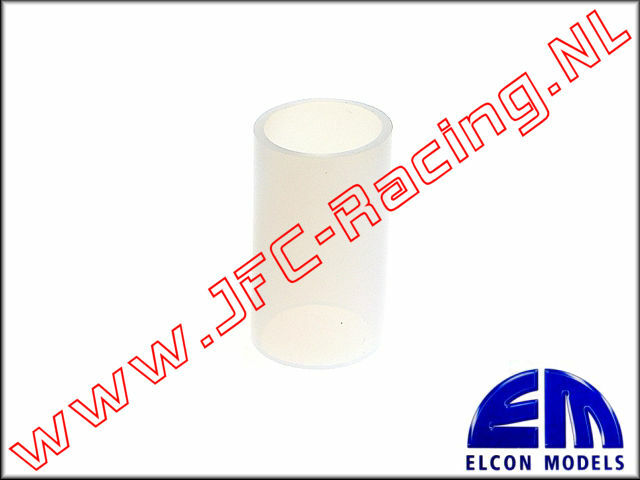 EM 50750-04, Teflon Tube Exhaust 1pcs.